What is Canine Influenza? Get Answers Here! In light of the recent outbreak of Canine Influenza Virus (CIV), you might have noticed that we began to require the influenza vaccine for boarding. Today we’re going to discuss why your pet may be at risk. Similar to the human flu, canine influenza has many strains. This means that there are multiple types of the same virus. By vaccinating we are building the immune system up against certain strains of the flu. This may give the immune system the ability to create antibodies against other strains more quickly. Therefore, your pet won’t become nearly as ill as he or she would have without vaccinating. We have two strains that we can vaccinate against, however, the H3N2 vaccine is most similar to the strain of flu that is currently invading Ohio and surrounding states. By vaccinating we are ensuring your pet’s safety as the flu is spread when dogs are in large numbers, like when they are in boarding, grooming, at the breeder or visiting the pet store. The flu is transmitted via aerosolization (i.e barking, sneezing, coughing) The contagions can live outside of the body for up to 48 hours. Any surfaces or persons exposed should be thoroughly disinfected before coming in contact with under vaccinated or immunocompromised (i.e young, sick, or elderly) dogs. The disinfecting process should include washing all clothing or bedding with bleach, and scrubbing floors and surfaces with a bleach solution (1:30 dilution is recommended) Any pets suspected of having the flu should be kept from others. During times of outbreak, we are recommending keeping your pets from stores, parks, and boarding facilities, as well as vaccinating. Prevention is much easier than treatment. Okay, so now you might be asking yourself, what are the symptoms? In mild cases, CIV can mimic Kennel Cough. A dry to moist hacking cough, for weeks, despite treatment is often a mild case of the flu. This may be found in strong healthy pets that are minimally exposed and or well vaccinated. It is important for your veterinarian to note that a cough may be elicited similarly to that of Kennel Cough. Inflammation of the respiratory tract is the most common mechanism of this virus. Moderately infected dogs may develop nasal and ocular discharge, as well as coughing and sneezing. Pets may lose interest in food and have a low grade fever as well. Secondary bacterial infections are common in these patients, due to the irritation and inflammation to the respiratory tract. Severely infected pets will have all symptoms previously mentioned with a high grade fever and the potential for secondary pneumonia. As with humans, viruses are treated symptomatically. We must, also, treat secondary bacterial infections. Severely affect patients will have a guarded prognosis, however most dogs recover within two to three weeks, depending on the severity of the secondary bacterial infections developed. As far as diagnosis, specialized tests are sent to outside laboratories. Your veterinarian may opt to treat empirically depending on your budget and or severity of your pet’s symptoms. As always though, it is best to know, for a fact, what your pet is dealing with. Taking into consideration how contagious this virus can be, testing may be required in order to properly treat your pet in hospital without infected other patients. All in all, Canine Influenza Virus is out there. Using good judgment and good husbandry during times of outbreak can prevent this from effecting your pet(s). Vaccines are available in multiple strains and H3N2 is the strain closest to the strain that is currently more prevalent. We are recommending this vaccine for dogs in grooming and requiring it for boarding. 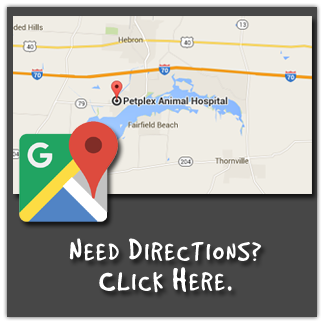 This is for your pet’s safety and the safety of all other pets that enter this clinic. In high volume places, disinfecting and prevention is key to minimizing outbreaks. All pets infected or suspected of infection should be isolated from others. Prevention, as always, is key. Know the facts, symptoms, and how to keep your pet safe. If your pet does become infected, time is of the essence. Please call us and let us know if you are concerned about your pet or have further questions about CIV! Lastly, I am so happy to report that I have been accepted into The American Society of Veterinary Journalists. Without writing to all of you, I may not have been able to have such an honor. With this certification, I hope to improve my writing and bring you guys some awesome new content! Thank you, times a million!